This code applies to all library patrons including ACC students, faculty and staff, and guests/visitors. Library patrons are expected to be aware of and to familiarize themselves with all College and Library Services policies, rules and codes. Repeated failure to comply with Library Services policies, rules and codes may result in loss of library privileges. Library Services faculty librarians and other staff have the right and the responsibility to interpret these guidelines and apply them as situations in the library arise. ACC students and other library patrons share in the responsibility for making the libraries safe and pleasant places for academic pursuits, reading and studying. 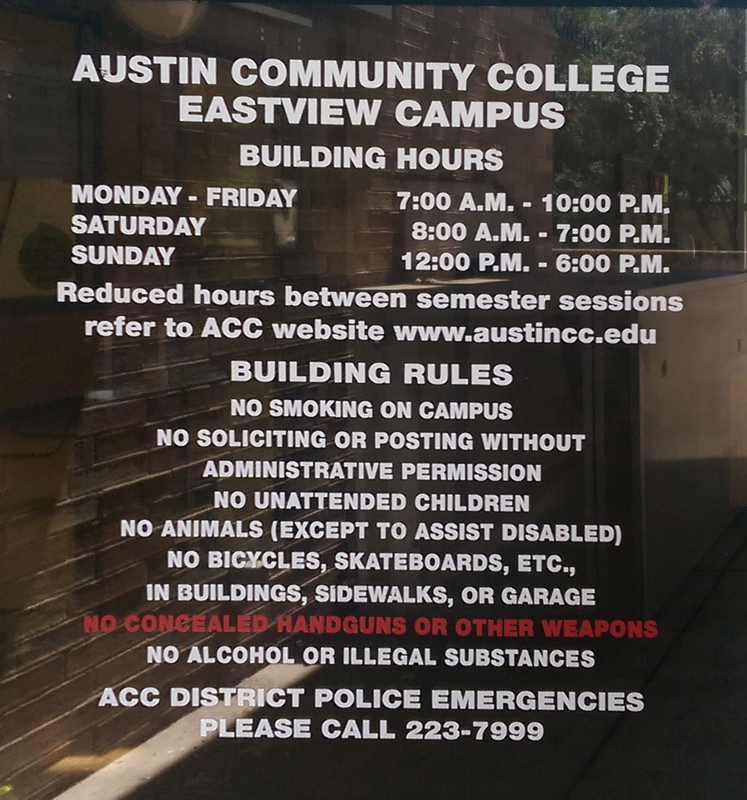 Library patrons are expected to observe all College and Library Services rules and guidelines. Any behavior that interferes with the rights of other library patrons, or that is potentially harmful to any library user, staff, the facility, or library resources, is considered unacceptable and is subject to disciplinary action. Library materials must be checked out using your current valid ACC photo ID before leaving the library. The library retains the right to examine all patrons' backpacks and other carriers exiting the library. Library facilities, materials, equipment and furnishings must be used for their intended academic purpose. For example, sleeping in the library, blocking entrances and aisles, etc., are not allowed. Library facilities, materials, equipment and furnishings must be treated with respect. Do not misuse, move, remove, unplug or damage them. (See the Library Acceptable Use Guidelines.) Equipment designated for disability access should be relinquished immediately if needed for that purpose. Be respectful of the library appearance by disposing of trash and recyclables in the containers provided. Help with the College's Sustainability effort. No food or open beverage or liquid containers are allowed anywhere in the library unless otherwise designated. The Library does not allow the use of tobacco products inside the library, including electronic cigarettes. No animals are allowed in the library unless they are official guide or assistance animals. Library entrances, exits, and aisles must remain clear. Emergency information can be found on College web site. Show identification if asked. All library patrons must be prepared to show valid personal identification if asked by library staff or Campus Police. ACC students, staff and faculty must present their valid current ACC photo ID card when asked by library staff. Be responsible for personal belongings and not leave them unattended or they may be removed and sent to the Campus Police office. Help to maintain a safe, quiet and clean environment by treating others as you would expect to be treated. Loud conversations and other noisy activity can disturb others who are trying to study. Group study rooms are available. Guidelines are posted in the rooms and on the Library Website. Cell phones and pagers should be turned to vibrate when entering the library. Calls should be taken outside of the library. A college library is not designed for children but for college students. According to the student handbook, children must be under the supervision of parents or guardians at all times. Children may not be left unattended in the library. fair use and copyright law compliance; See more information on the College's Copyright web site. equipment and computer use; See the Library Acceptable Use Guidelines and the Library FAQ on computer use. borrowing of library materials; See Lending and Fines Policies. group study rooms; See Group Study Rooms. printing in libraries. See Printing in ACC Libraries. Guests / Visitors must sign in and follow Guests/Visitors Guidelines.